Pro Skier, Timmy Dutton died in a skydiving accident on Tuesday, April 29 at the Parachute Center in Acampo, CA. Dutton exited the plane with another skydiver. The two collided in mid-air, knocking Dutton unconscious. Dutton never deployed his chute. The other skydiver landed with leg injuries. 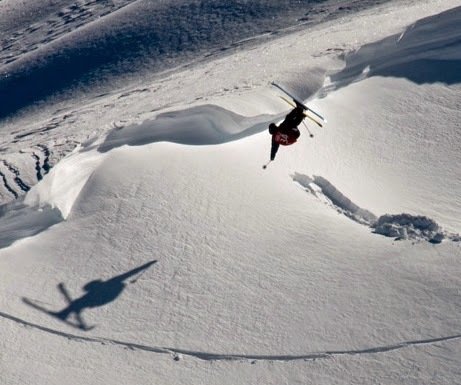 Dutton was a pro skier who competed at the Freeride World Tour for three years. Dutton was the North American Freeskiing Champion in 2009. He was also filmed in several movies and commercials where skiing or skydiving was featured. Dutton was related to the late Billy Dutton, a backcountry legend at Squaw. Squaw holds the Annual Billy Dutton Uphill race in Billy’s memory. Car tire commercial featuring Timmy Dutton with his friend and mentor JT Holmes. I met Billy in the summer of 1968. My band was the house band at Kings Beach Bowl. I stayed for the winter with my first real Love. We went to work at Squaw Valley. She at the lunch room at the top of the gondola and I on the lifts. That was the winter I learned to ski. My teachers were many: John Carnnel, Paul Sullivan, Billy Dutton and Mark. I think about them at least once a day.